You are currently browsing articles tagged Food and Nutritional Sciences. 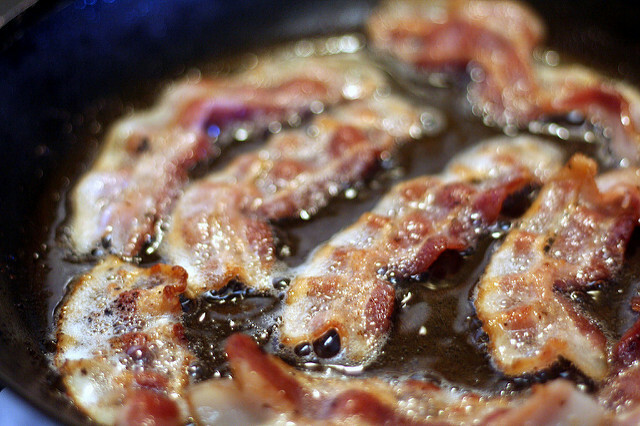 Does bacon really cause cancer? A few years ago, the decision by the WHO to classify processed meat as carcinogenic to humans has resulted in a lot of headlines. Unsurprisingly, comparing a full English breakfast with cigarettes didn’t go down too well. This was of course an exaggeration – but the fact remains that processed meat consumption can increase the risk of bowel cancer. So what are the real risks? Dr Mark Bücking (Head of Department Environmental & Food Analysis) and Dr Matthias Kotthoff (Head of Laboratory Environmental & Food Analysis) from the Institute of Molecular Biology and Applied Biology (IME), Fraunhofer Research Organisation in Germany are presenting on the research activities of IME, and discuss the potential for collaborative opportunities.